So convenient! This was the second time that I purchased it. I use it in sandwiches and for snacking. Makes an easy and quick snack for the grandkids. 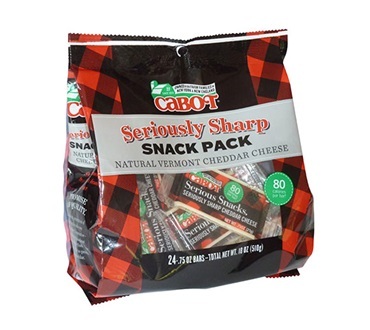 I buy Cabot cheese almost every week at the grocery. I bought these so I can grab and go quickly knowing its going to be good! I don't ever question the quality of their products. I just wish my grocery carried more of their products. Everytime I serve their cheese people always ask what kind of cheese is this? It's that GOOD! Love the single snack packs.